The devil is known for a lot of things. For one, we know the leader of the underworld likes to keep the thermostat working overtime. People (we're looking at you, Dante) who've glimpsed the depths of hell usually remark on the sauna-like nature of its caverns and pits. Secondly, we know that the empress of embers truly enjoys making tricky deals with earthly souls who dare to tread from the straight and narrow. A good rule of thumb? Always avoid any shadowy strangers offering you fiddles made of gold on lonely rural crossroads. Thirdly, we know the devil looks heinously good in red. In fact, we'd be horribly disappointed to show up in the netherworld and find the Beezlebub lounging on the throne made of human misery in a powder blue suit. That just wouldn't seem right. 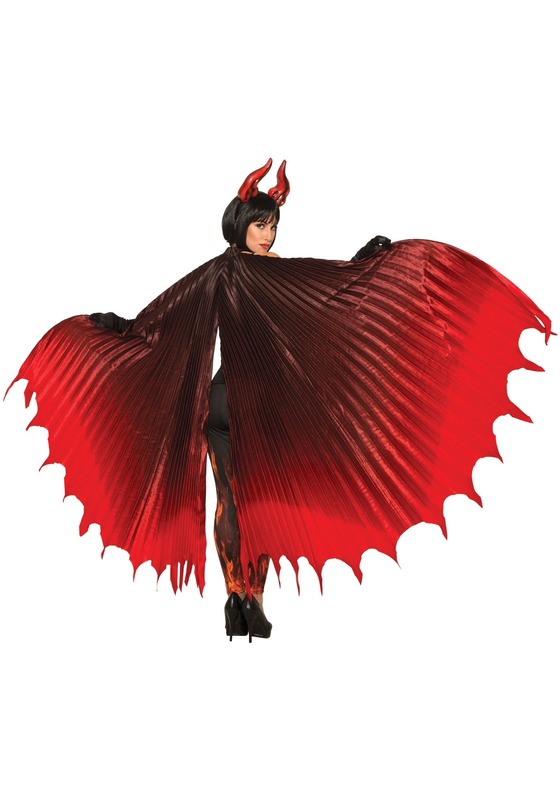 This cape will give your fiery rule an air of authority as it flows behind you when you make your entrance and will give you a wicked silhouette when you flaunt your wingspan. 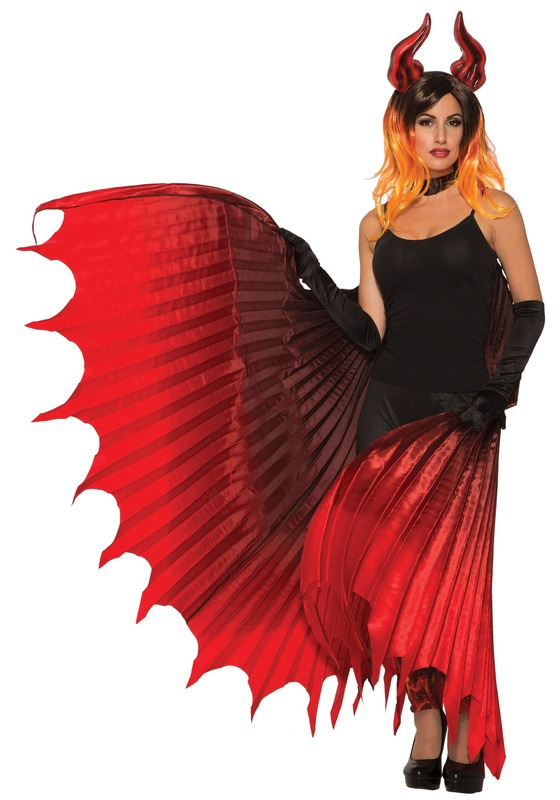 The shining wings have a pleated material and they are a dyed red and black ombre. The hem has a dragon-like pattern and the wings are attached at the shoulders. These red wings will give you the entrance a firey fiend like you deserves. Lift them up when people get in the way of your wave of ruin and rage to show off your terrifying countenance. Whether you're dressing up for Halloween, you're starring in a dance recital, or you're simply getting in touch with the hellion in your heart, you're sure to love the wicked weight of this crimson cape.